HandyGames has announced that Townsmen will release on Nintendo Switch next week, presenting the chance to grow a small village into a large, prospering city on the portable home console. 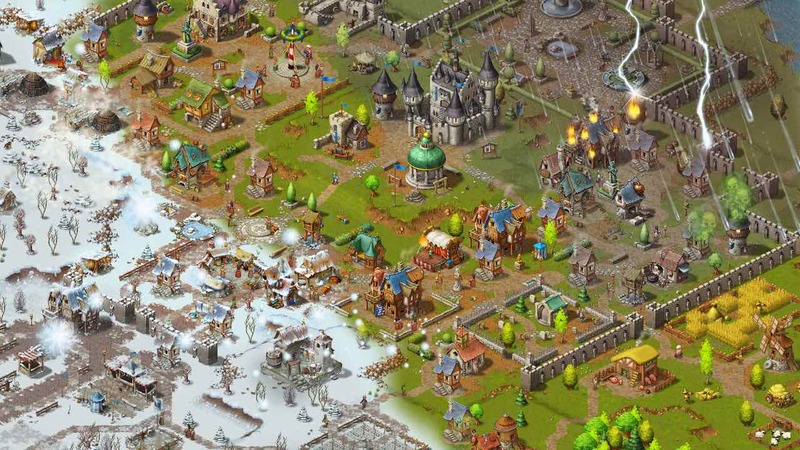 In this medieval city builder, you can either choose to play 26 different scenarios that could challenge you to protect a city that’s under siege from bandits or making sure that the King’s birthday party is a success. Or, you can play on one of the 24 sandbox maps where you can build your own town from scratch. It’s important to fulfil the needs of your Townies, needing to research up to 75 different technologies, 45 production buildings and 129 other structures to improve their lives. That could shorten their commutes to work or let them relax in nearby parks, with a need to take the seasons and weather into account – with Townies consuming more water in summer, for example. Townsmen will release on the Nintendo eShop for Nintendo Switch worldwide on November 9th, priced at £17.99 (€19.99 / $19.99).